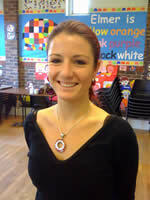 The Drumzy School of Music and Dance teaches belly dancing and Egyptian rhythm and music. The Foundation Certified Course is a course where dancers acquire a strong foundation and basic understanding of Egyptian Dance, Rhythm & Music. The Advanced Dancers course trains a dancer to become a professional belly dancer. The course helps dancers to become knowledgeable in all the Egyptian dance rhythms, able to express the music with movement, become flawless and designing choreographies and much more. The Drumzy School also provides private tailor-made courses. 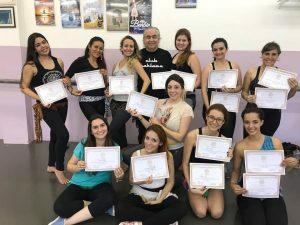 These are specially designed courses for dancers, according to what they feel they need to learn in belly dance and what they wish to improve in their own dancing. Studying on the Drumzy Advanced Dancers Course is an extremely challenging and rewarding experience for me. The course has enabled me to develop my own technique, interpretation and choreographic skills in ways that I never before thought possible. It has not been a predictable journey and the depth of knowledge and understanding that I have achieved has exceeded all my (already high!) expectations of the Drumzy course. As a result, my confidence as a dance teacher has improved considerably due to the knowledge the course has given me. I feel exceptionally well prepared to offer high quality teaching based on a sound knowledge of music, rhythm and interpretation. I also realise that this should be the minimum that anybody wishing to teach this art form should have. T he Advanced Dancers course is intensive and demanding but this only adds to the huge feeling of achievement you feel at the end. 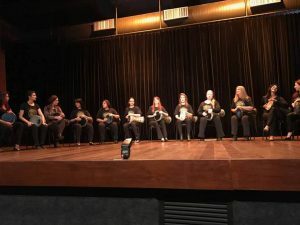 The knowledge and understanding of the dance and drumming you gain is fantastic and although there are difficult times it is really worth pursuing to the end. I have had the priviledge of learning various styles from the “Stars of Egypt”, and learning to play rythms on the duff. This has enabled me to better my ability in creating my own choreographies, and experimenting with new steps and moves. All of this has given me inspiration to keep working and developing myself and has been a great journey for me so far, its been worth every minute.